My 3rd son who is 25 just purchased a stainless Rio Grande in 45-70 from a friend who had won it in a raffle. It has a nice feel to it, cycles fairly smooth, wood fit is good. Only shot a few times at the range, friend told son that it occasionally failed to fire using Hornady Leverevolution ammo. That is what brought me here. Kind of a Marlin guy with 5 of em' in the fold, like how this Rossi feels and points. Appreciate the members relating experience in solving these action issues. Thanks. Let you know how it turns out when winter decides to let up a bit. I can't help with the 45-70 problem, but we have quite a few members here that can. Probably give it a good cleaning inside with Brakeclean first. It just arrived a few days ago. Make sure you use the non-chlorinated version. Welcome! Welcome to the forum! The RG4570 is what brought me to the Rossi line, and I love the rifle. The Rio Grande section of the forum isn't very large, and there isn't much activity there anymore, but it is still worth reading through. For starters, make sure the rifle and particularly the bolt is clean. Not much to disassembling. Once clean, check the ability of the pin to move through the bolt. No metal burrs are interfering with its freedom. The safety bar not being properly aligned, lubed and secured is the next thing on the misfiring checklist. I have three rifles, and just recently I had some light strikes with the rifle that I rechambered to 30-30 AI, the allen headed Manual Safety Screw was the issue. 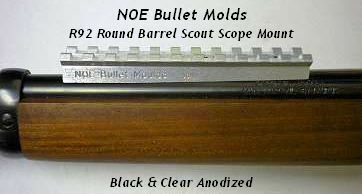 It wasn't secure and because of that; the Manual Safety bar was moving ever so slightly under recoil and action operation. Once secured, operation returned to 100%. Welcome, sounds like you have some good steps to start with keep us posted.